FPD Group Ltd provide Examination Lights to suit all of your clinical and surgical needs. We provide a comprehensive range of LED examination lights to suit all of your clinical needs. The LED examination lights use the latest innovations in LED lighting technology to provide you with better performance and lower life time costs. The choice of examination lights we offer vary in light intensity, colour rendering quality, mounting structures and price so you can choose a light that meets all of your clinical examination needs. We supply quality healthcare equipment to the NHS, GPs and Pharmacists. 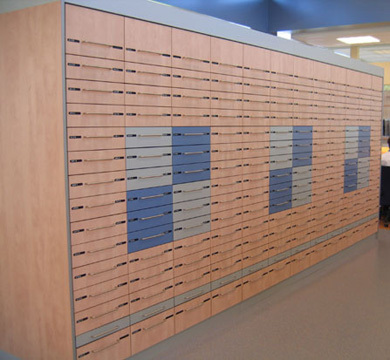 Select standard storage or workstation modules from our website, or ask our team to manufacture a solution specifically to fit your room space. • DESIGN SERVICE – Visualisation images like the one shown on this card are now available with all quotations; helping you make the right decision. • FREE GUIDANCE – For example, in choosing the most suitable controlled drug cabinets or providing advice on Trolleys or Cold Chain portable vaccine carriers. • FIVE YEAR WARRANTY AND CALIBRATION – On our new 2016 range of UK made Pharmacy Fridge units. FPD Group look forward to discussing your enquiry. A more open, customer-friendly design of your pharmacy. An expansion of your product range and services. 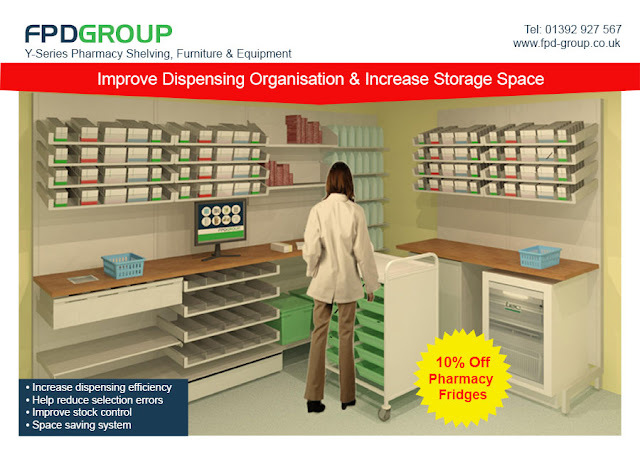 With our pharmacy drawer system you save time, gain space and thus increase efficiency in your pharmacy.